Our 2014 graduation ceremony was held on 28 November, with graduates and team members celebrating in McEwen Hall in Edinburgh, and virtually in Second Life. It was a wonderful event, with many friends and family members joining in. Thanks to everyone who was involved in making the event such a wonderful success. Too many to list! 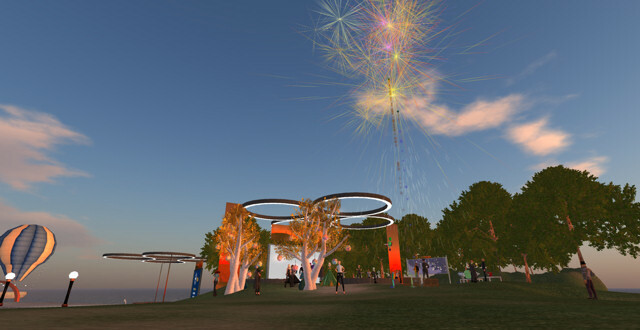 But special thanks to Fiona Hale, Marshall Dozier, Andy Pryde, Stuart Nicol, and the University’s registry for making virtual graduation and live graduation work together so seamlessly. Above all, thank you to our FANTASTIC 2014 graduates for their many invaluable contributions to the Digital Education programme over the years – don’t be strangers!